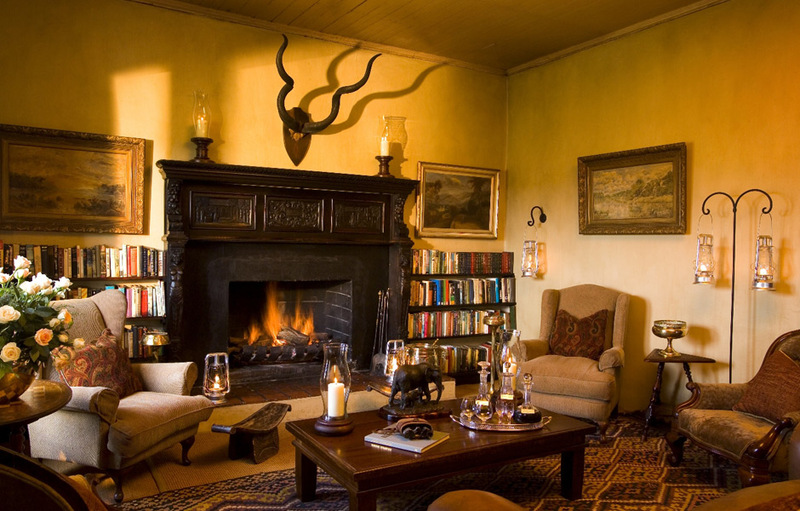 Gorah Elephant Camp is a luxury period safari nestled in the glorious indigenous bushveld of the Sunday’s River Valley. 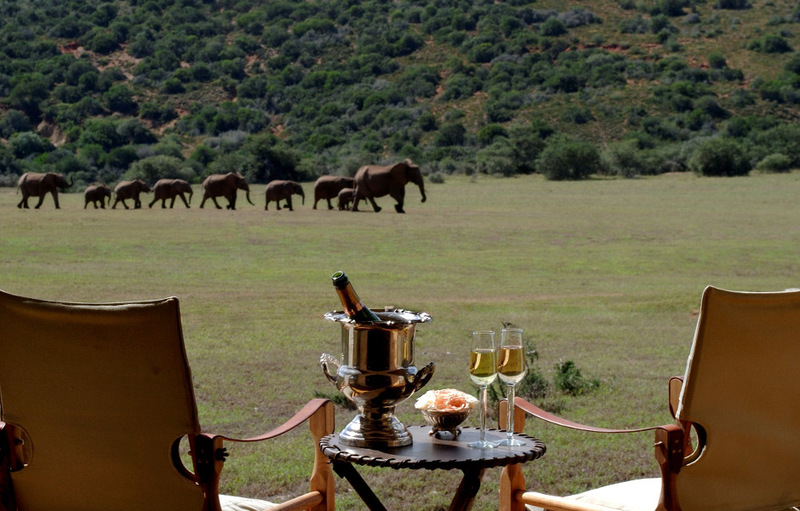 It is the only private concession and Camp situated in the middle of the famous Addo Elephant National Park. Experience the African Bush from five-star tented accommodations, where every day brings the opportunity to quietly observe the passing of a magnificent herd of elephant as you sip you tea on the cool, wide veranda of the Colonial manor house. 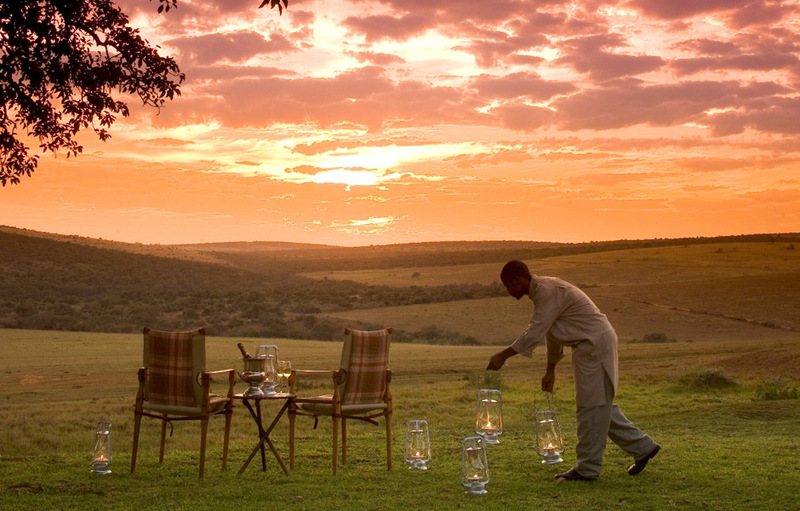 In the evenings enjoy a quiet pre-dinner drink and soak in the sights, smells and sounds of the African bush at twilight. The fully restored Gorah House was originally built in 1856 and is a National Monument. 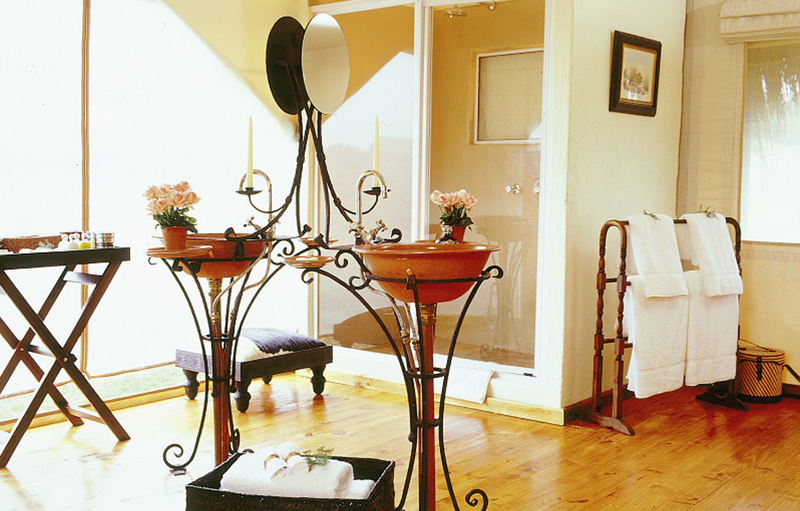 It embodies the gracious elegance of the colonial era and welcomes visitors into a world of ultimate comfort and opulence. Where serenity is a way of life, unwind on the sun decks or languish in the shade of Gorah House’s porches and patios. When the heat of the day unfolds, take a refreshing plunge in the natural rock sparkling pool. Ambrosial five course gourmet meals are served in the candle-lit stately dining room or on the old-fashioned veranda overlooking the waterhole. Sophisticated Estate wines and a selection of international beverages compliment your meal. All meals are freshly prepared and any dietary needs are catered for by the experienced chefs. Gorah Elephant Camp is a member of Relais & Chateaux and was the proud recipient of the 2011 Relais & Chateaux International Welcome Award. 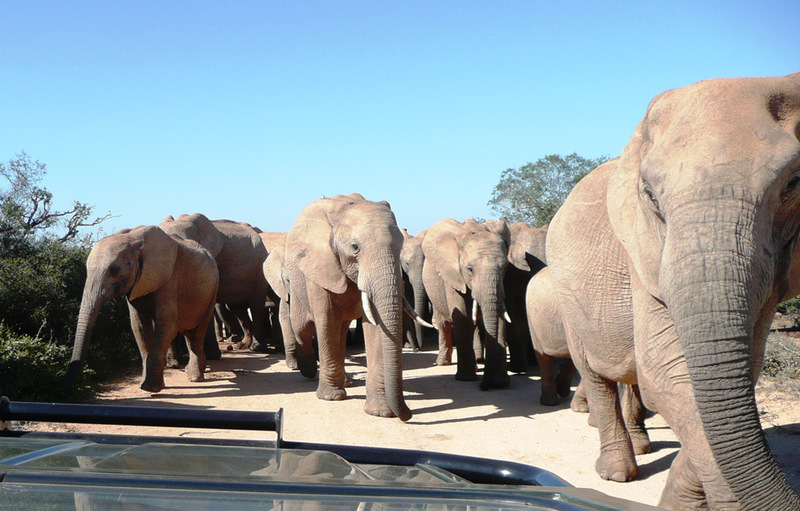 The 14,000 hectare fenced park was proclaimed in 1931 to preserve the survivors on once large herds of elephant that roamed the Eastern Cape. Once hunted to near-extinction, the herds have gradually flourished and Addo now boasts the highest density of elephants on earth. The park is also home to lion, black rhino, buffalo and leopard and many species of antelope and small game. Addo also has 320 recorded bird species. In a fine blend of colonial nostalgia and modern sophistication Gorah Elephant Camp offers a unique and memorable five-star adventure. The camp’s 11 tented suites are luxuriously spacious and filled with the finest comforts evoking romantic memories of a time gone by. 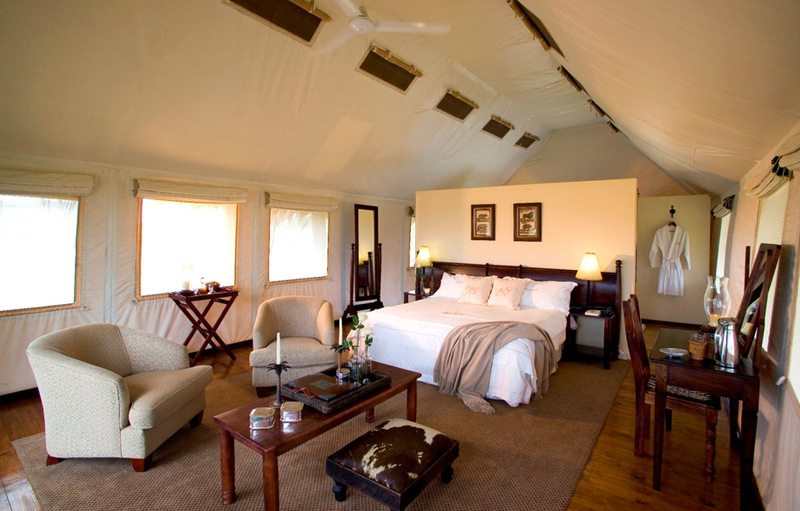 Each luxury tent has an en-suite bathroom with shower, a lounge area and a private deck offering inspiring views of the endless savannah plains. Solar powered lights, ceiling fans and in-house communications between tents and the Main House. Complimentary Wi-Fi is available in all public areas of the lodge.